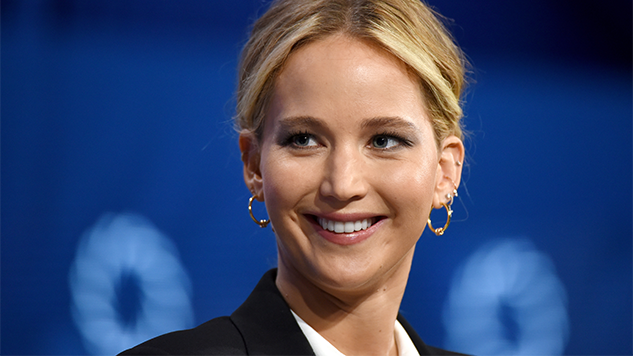 Jennifer Lawrence has officially chosen her first new project since taking a year-long break from acting to focus on non-profit work: an untitled drama coming from IAC and A24. Considering the acclaimed releases from these companies—Lady Bird, Eighth Grade, Mid90s and Ex Machina come to mind—this next step may bring the 28-year-old back to the days of Winter’s Bone, the Oscar-nominated indie film that launched her high-profile career. Further details about the movie’s plot remain undisclosed, but it has been announced that New York stage director Lila Neugebauer will be making this her feature debut. It’s a project made for teeth-cutting, as first-time screenwriter Elizabeth Sanders penned the script. If you’re not familiar with Neugebauer, she is a rising star in the New York theater scene, making her debut this season with a revival of Kenneth Lonergan’s The Waverly Gallery. The cast included entertainment legend Elaine May, Lucas Hedges (Lady Bird), Joan freaking Allen (Room, Face/Off, the woman can do anything) and Michael Cera (Arrested Development). Scott Rudin and Eli Bush produced the revival, and also are producing the untitled film. Lawrence and Justine Polsky are producing, too, through their company Excellent Cadaver. “It’s an intimate film that wants to be close to the bone and wants to be quite personal,” Neugebauer told THR of the project. She also described Lawrence as “a really astonishing partner” and said that “she’s a really collaborative spirit.” Let’s just hope this collaborative spirit is playing someone her own age for once. Principal photography for the film kicks off in New Orleans come June.